The eye-catching black-and-white uppers of this version of the "Elizabeth" wedge heel from Ros Hommerson are made of east-fitting stretch nylon. 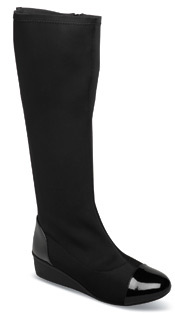 The black patent leather toe is comfortably rounded. 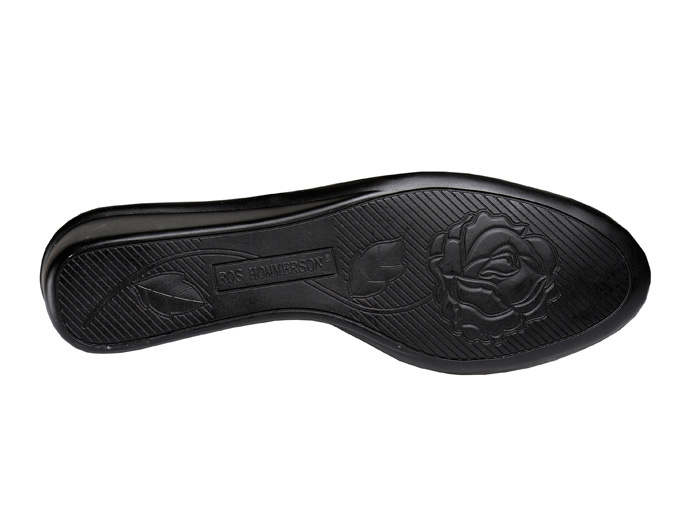 The Memory Foam insole extends toe to heel. Polyurethane wedge sole has 1½-inch heel height. Originally $99.95. Limited stock in women's sizes in 2E width in sizes indicated.